AFM MARKET PLACE COUPON POLICY AFM Market Place is happy to redeem your coupons. The following rules apply when accepting vendor coupons clipped from newspapers or magazines, received by mail, or obtained legitimately from the internet. • Coupons must be legible. 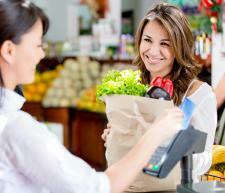 • Coupons must have a scannable bar code (UPC) and a remittable manufacturer’s address. • Coupons must have a valid expiration date, no coupons will be accepted past date of expiration. • All coupons must have “Manufacturer Coupon” printed on them. • Only one vendor coupon per item will be accepted. • Valid soft drink container caps will be accepted. Due to increased fraud, the following three additional rules apply to internet coupons. 1) The coupon is a “buy one, get one” (BOGO) vendor internet coupon. 2) The coupon must contain a scannable bar code, matching the value of the coupon. 3) The coupon has a purchase obligation. (No internet FREE product coupons accepted). 4) No cash redemption, coupon value may not exceed value of item. • No internet coupons that exceed $3.00 in value will be accepted and a Store Manager has the absolute authority to refuse the redemption of any internet coupon. • Internet coupons are not subject to double value promotions. AFM Market Place as a general rule does not offer double value coupons, but may from time to time advertise special double coupon value promotions.